Seeing Asad Ali bowling just blow my mind away ,A bowling style very much a replica of Darren Gough just he doesn't stop at the last stride like Gough .He was moving the ball on the flattest deck where Samiullah hardly moves it. He is faster than a normal medium pacer and very much close to Wahab Riaz pace. Born:12th August 1989, Sialkot, Punjab, Pakistan Batting: Right-hand batsman Bowling:Right-arm medium-fast Teams: Sialkot (Main FC: 2007/08); Sialkot Stallions (Main ListA: 2007/08); All teams. Born:16th October 1989, Rawalpindi, Punjab Batting: Left-hand batsman Bowling:Right-arm (unknown style) Teams: Rawalpindi (Main FC: 2007/08); Rawalpindi Rams (Main ListA: 2007/08); All teams. Born October 15, 1988, Faisalabad, Punjab Current age 19 years 230 days Major teams Pakistan Under-19s Batting style Right-hand bat Bowling style Right-arm medium-fast. Born: 6th October 1992, Karachi, Sind, Pakistan Batting: Right-hand batsman Bowling: Slow left-arm chinaman Teams: Pakistan Customs (Main FC: 2007/08); Karachi Zebras. Born: May 20, 1986, Swabi, North-West Frontier Province Age :21 years 353 days Major teams: Rest of North West Frontier Province Batting style: Right-hand bat Bowling style: Legbreak. 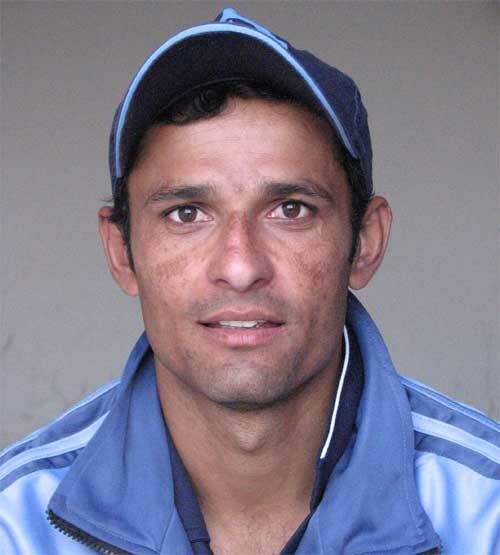 Born March 6, 1984, Malakand, North-West Frontier Province Major teams Pakistan, Sui Southern Gas Corporation Batting style Right-hand bat Bowling style Right-arm medium-fast. Born October 8, 1985, Karachi Major teams Pakistan, Karachi Cricket Association Under-19s, Karachi Dolphins, National Bank of Pakistan, Pakistan Customs, Pakistan Emerging Team Batting style Left-hand bat Bowling style Slow left-arm orthodox Relations Father - Tariq Alam.